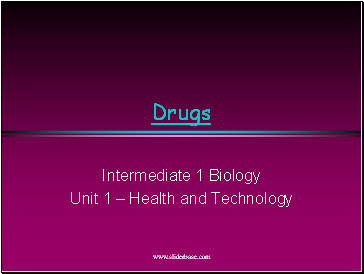 system and increase brain activity. 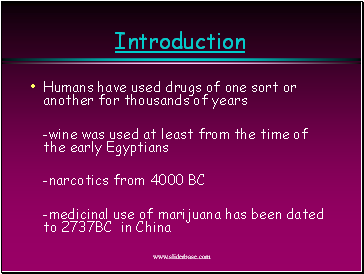 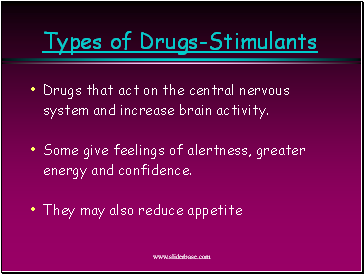 Drugs that act on the central nervous system and slow down brain activity. 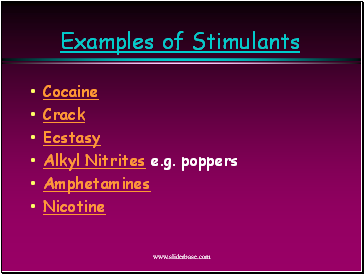 Impaired co-ordination, balance and judgement are common. 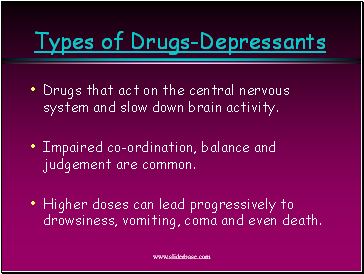 Higher doses can lead progressively to drowsiness, vomiting, coma and even death. 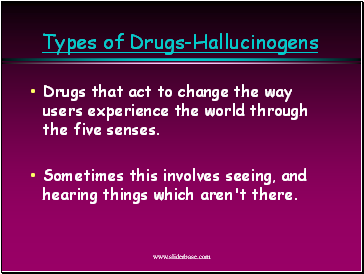 Drugs that act to change the way users experience the world through the five senses. 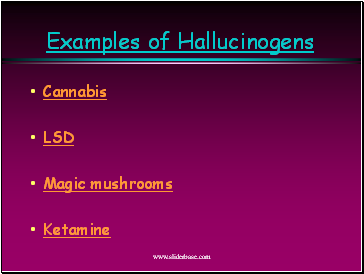 Sometimes this involves seeing, and hearing things which aren't there. 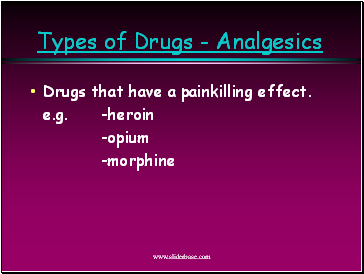 Drugs that have a painkilling effect. 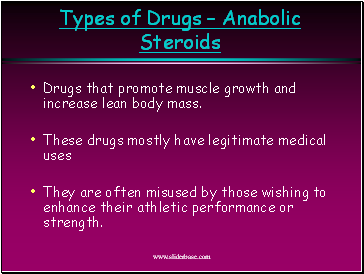 Drugs that promote muscle growth and increase lean body mass. 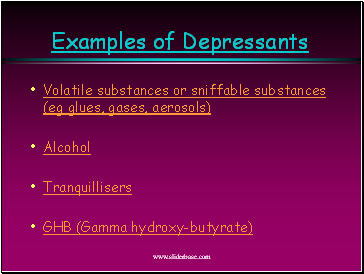 They are often misused by those wishing to enhance their athletic performance or strength. 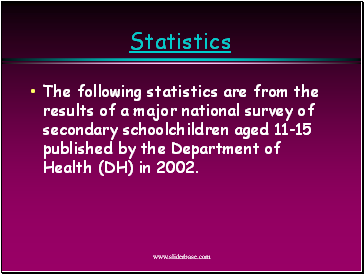 The following statistics are from the results of a major national survey of secondary schoolchildren aged 11-15 published by the Department of Health (DH) in 2002.